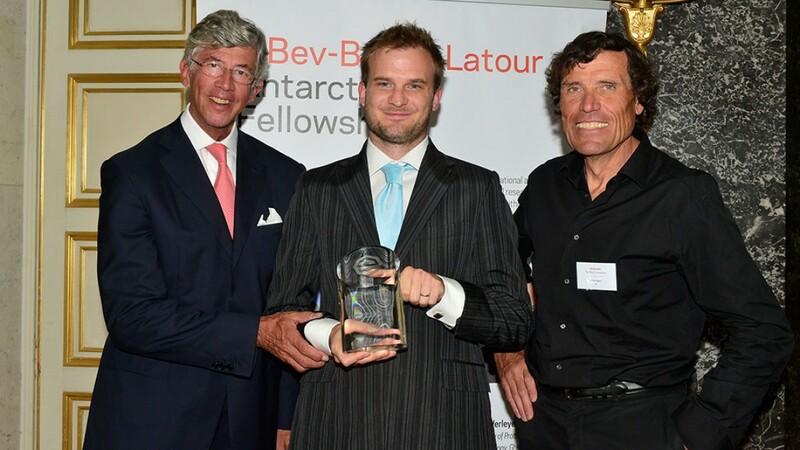 Dr Jan Lenaerts, a Belgian researcher working at Utrecht University in the Netherlands, has been awarded the prestigious €150,000 InBev-Baillet Latour Antarctica Fellowship for his BENEMELT project. A joint initiative between the International Polar Foundation and the InBev-Baillet Latour Fund, the InBev-Baillet Latour Antarctica Fellowship Award promotes science and scientific excellence in Antarctica by young scientists. The fellowship, the largest of its kind, recognizes the importance of science carried out in Antarctica for improving the understanding of the Earth system, and encourages scientific research at, or close to the Princess Elisabeth Antarctica polar research station. The BENEMELT project was the unanimous choice of the InBev-Baillet Latour Antarctica Fellowship Committee, based on the recommendations of an international scientific jury. The project aims to improve understanding of snow melt on ice shelves, floating extensions of the massive inland ice sheet which stabilize ice loss, and how melt will impact on ice shelf stability and sea level. It will also provide data for improving climate models to provide an estimate of present-day and future surface melt on East Antarctic ice shelves. “My fieldwork with the support of the InBev-Baillet Latour Fellowship will shed light on which processes are responsible for this ice shelf breakup, thereby improving the estimates how, when and where East Antarctica is most vulnerable to global warming" said Lenaerts. The prize was presented on 17th September at the Antarctica – The Next Generation Conference and Award Ceremony at the Palais des Académies / Paleis der Academiën, in Brussels, Belgium, by Jean-Jacques Derwael, a geodetic surveyor who conducted pioneering research in Antarctica in the 1960s. The conference celebrated the work of previous InBev-Baillet Latour Fellowship laureates Dr Elie Verleyen, Dr Steven Goderis and Dr Reinhard Drews with all three scientists giving presentations of their research activities in Antarctica and most recent results. Meteorologist Dr Alexander Mangold also described his meteorological and climate studies at the Princess Elisabeth Antarctica Station and during his acceptance speech, Dr Jan Lenaerts gave a short presentation about his planned research. Participants at the conference commented on the clear and understandable talks and the enthusiasm of all of the scientists. Jan Lenaerts will be travelling to the Princess Elisabeth Antarctica station in November 2014 and you can follow the progress of the BENEMELT project on the station website.